Warrior Dash registrations are non-refundable. If you need to change your wave time, the date of your event, or let a friend run in your place- we allow you to do so. You’ll only pay the difference in price and will not be asked to pay a separate change fee. All requests must be completed prior to the Transfer & Registration, which is 12pm CST on the Friday before the event. Only the person who paid for the original registration may complete a transfer. When completing a transfer your previous registration costs are automatically applied towards the new registration and you are only required to pay any difference in price (if the event has increased in price). Participants have had success selling registrations on Craigslist or posting registrations to our Facebook If you are selling your registration, you will need to officially transfer the registration to the new recipient in EventSprout, or they will not be able to pick up the packet on site. Warrior Dash does not take any responsibility for transactions made between third parties. Red Frog Events reserves the right to change these policies and related fees at anytime. 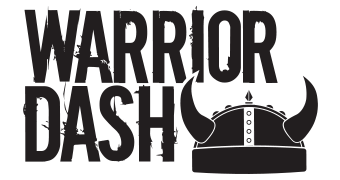 *In the event of a postponement or cancellation, there will be no refunds and your entry may be transferred to another Warrior Dash event, free of charge.